OMD! OMD! Do you know what time it is? It’s time to “Shake, Rattle and Roll” your Shibabooty at Shiba Prom 2018 on Saturday, May 19—the hottest party in town! Dress up your Shiba (HUFF) and enter fun photo contests (like Jewel Inu, pictured above - photo courtesy of Denise Roelke)! Win raffle baskets filled with amazing Shiba items! Come as your Shiba and bring your furiends! Humans welcome! Cats too! 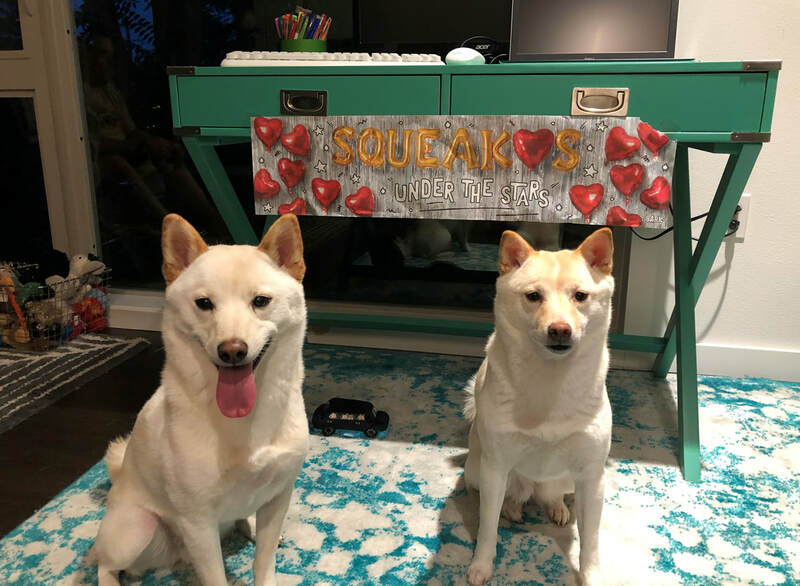 In case you’re not familiar with us,  Shiba Prom  is a wild ’n’ crazy, super-fun live chat party that’s held each year to raise money for Shiba rescues around the U.S. Think Facebook Live crossed with the Shiba 500! Each Prom “ticket” and related event tickets are donations that go directly to Shibas in rescue. Once you buy a Prom ticket, you’ll have full access to the “Pawty” site. Here, you can explore all the pupper photos and videos, upload pics and videos of your own, buy fun Shiba items from our Shiba Shop, and communicate with other Prom members. And don’t forget to follow us on Facebook and Instagram, where we’ll have all the latest updates. On Saturday, May 19, at 3:00 pm ET/2:00 pm CT/12 noon PT, it’s time to party! The chat room goes live at 12 noon ET. Shake your Shiba fluff with live music, customized Shibadrinks from “Barktender” Zuko, and all the Shibafun you can make up! Ready to put the FUN in raising funds? See you at Prom! Join the Fun at Shiba Prom 2017! OMD! Spring is finally here, and we have all waited far too long for the sun to shine. All of the Shibas are getting to play outside more and terrorize their neighborhoods, and we’re hearing that they are ready to break out some dancing! This year, Shiba Prom is throwing the Cinco de Mayo–themed “Pawty” of the year on Saturday, May 6, 2017, from 3pm–7pm Eastern Time (Noon–4pm Pacific Time). 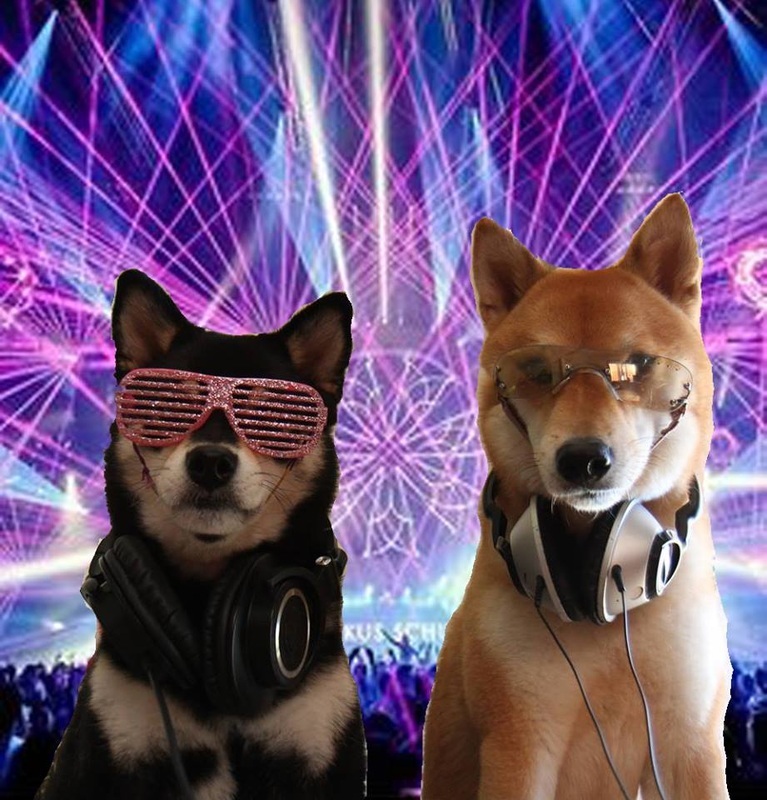 DJ Zeus will spin his best Shiba tunes, and Barktender Prince Zuko will keep everyone hydrated and in the Pawty spirit. Zuko promises to pour his signature bacon and cheese barktini, but he and DJ Zeus always have tricks in their little paws. DJ Zeus received some special donations this year, so look forward to a few bonus prizes during the Pawty. Bring your best Shiba Scream and show him that you can be the belle of the ball! Tickets for the big event are on sale now. Just grab your pawrents’ kibble card and go to http://www.shibaprom.org/pawty.html! If you can’t make it the day of the pawty, don’t worry! We have several other ways to be a big part of the fun. Just scroll down and choose your favorites. To learn more about our Shiba Prom grants, visit http://www.shibaprom.org/grants.html. Thank you to all our amazing donors! Buy your raffle tickets here and bid on baskets for the Shibas, the hoomans, and even the meowies! We have foxy leggings, books and shirts, collars and toys, an animal behavior and psychology course, and much, much more. Check them all out! Tickets are on sale until 11:59 pm Eastern time (9:59 pm Pacific time) on May 6, 2017. The drawing will be held on May 7, 2017. Contests are open to all dog breeds. It’s free to enter, and votes are only $1 each. Besides bragging rights, the winner (top fundraiser) in each category will receive a fabulous prize! We have books straight from Japan (yes, this means they are in Japanese). They are all different, but filled with full-color pictures of Shibas. You won’t find these in the United States! We also have autographed copies of the coveted “Once You Own a Shiba… Everything Else is Just a Dog” by the extremely talented Ericka Steele, who is also the artist that has created our Shiba Prom logos for the past two Shiba Prom events. In addition, each photo that raises at least $75 will receive a Shiba decal or patch as a thank-you gift. Only one thank-you gift will be awarded per photo. There are several choices of decal and patch designs, but supplies are limited — so get your supporters to vote early to have the best selection! 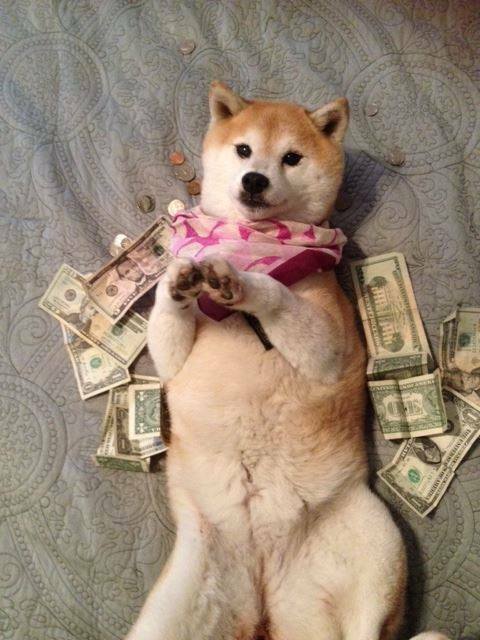 Most importantly, your submission and votes help us to fulfill our motto of “Shibas Helping Shibas: Having Fun Raising Funds”! So get out there and SUBMIT your photos! Entries are accepted until 12:00 am Eastern time on May 3, 2017. Voting is open until 6:30 pm Eastern time (3:30 pm Pacific time) on May 6. Once you enter, you have a URL you can use to encourage voters! Add your entry or vote now! Shibas Not Looking at the Camera - best pictures of your Shiba doing their very best not to look the way of the lens! Stock up on cool gear like travel mugs, T-shirts, pint glasses, and more. All proceeds benefit Shiba Prom! You can always donate directly to Shiba Prom on our website. If your company provides matching donations, contact us and we’ll send you the not-for-profit document you need. Now get out there and have FUN raising FUNDS! Pumpkin Spice Lattes are back, the weather is cooler, and the Shibas are blowing coat - again. It must be getting close to fall - and Homecoming Season! 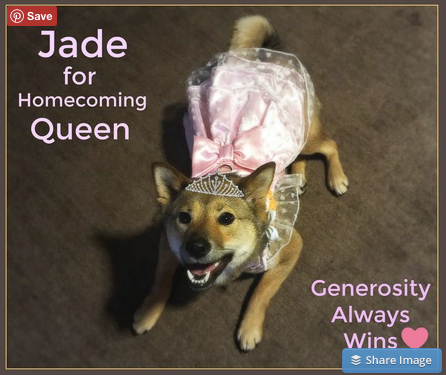 This year Shiba Prom is presenting our annual fundraiser in the form of Homecoming on Saturday, Oct 1st from 3pm - 7pm Eastern Time (noon PT - 4pm Pacific Time). Teaming up this year to spin the tunes are the FireFox Flygirls and DJ Zeus. Knowing their past shenanigans (bacon slide n’ slides and foam parties) we are waiting to see what kind of mayhem they bring this year! Coming back to provide refreshment for all those pawtiers is Barktender Zuko bringing his signature drink, a bacon and cheese barktini, along with a few new surprises. Thank you to all our amazing donors! Please browse the site and buy your tickets. We have baskets for the Shibas, baskets for the hoomans, and baskets for both! We have foxy finds and Fitbits, books and shirts, collars and toys - check them all out! Tickets are on sale until 6:30 pm Eastern time (3:30pm Pacific time) on Oct 1st. Contests are open to all breeds. Entries are only $1 and winners will receive a prize packet with an exclusive, autographed copy of “Once you Own a Shiba….Everything Else is Just a Dog”. Entries are accepted until 12:00am Eastern time on Sept 29th and voting is open until 6:30pm Eastern time (3:30pm Pacific time) on Oct 1st. Once you enter, you have a URL you can use to encourage voters! Add your entry or start voting now! Our new logo was generously donated by Once you Own a Shiba - proceeds from all swag benefits Shiba Prom! Click here to shop. Downdog Duds - 20% of all sales will benefit Shiba Prom. CDK Love - 20% of proceeds will benefit Shiba Prom. Power Up Pups - 20% of all Shiba product purchases will benefit Shiba Prom. And you can always donate directly via our Paypal button. If your company provides matching donations, contact us and we will provide the needed letter of not-for-profit status! One of the best parts of Shiba Prom is seeing the "happy tails" that come from the rescues when a life has been changed for the better through their efforts and funds received from Shiba Prom. 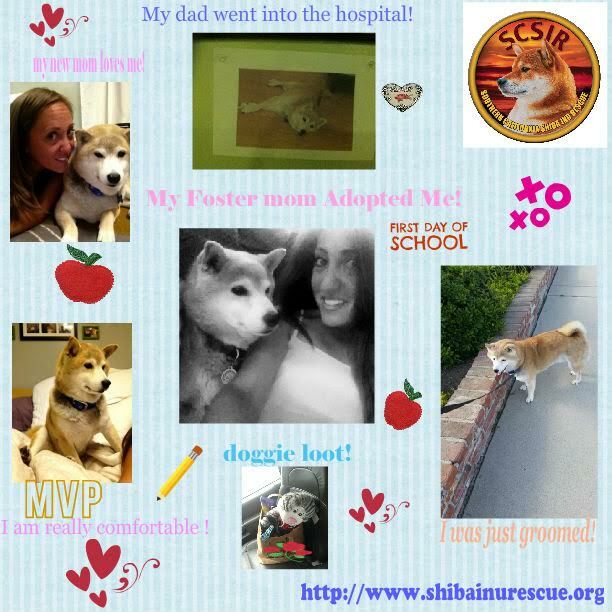 Kishi was a sweet eight year old owner surrender who came to Southern California Shiba Inu Rescue looking for help. She was given up because her owners traveled and did not have time for her. When she came into rescue, she kept having accidents. Because of the lack of time spent with her previous owners, the rescue workers originally thought it might a training issue. However, her foster took her to the vet just in case, and the vet learned that she had a large bladder stone (two inches, and ¾ inch tall) - poor girl! 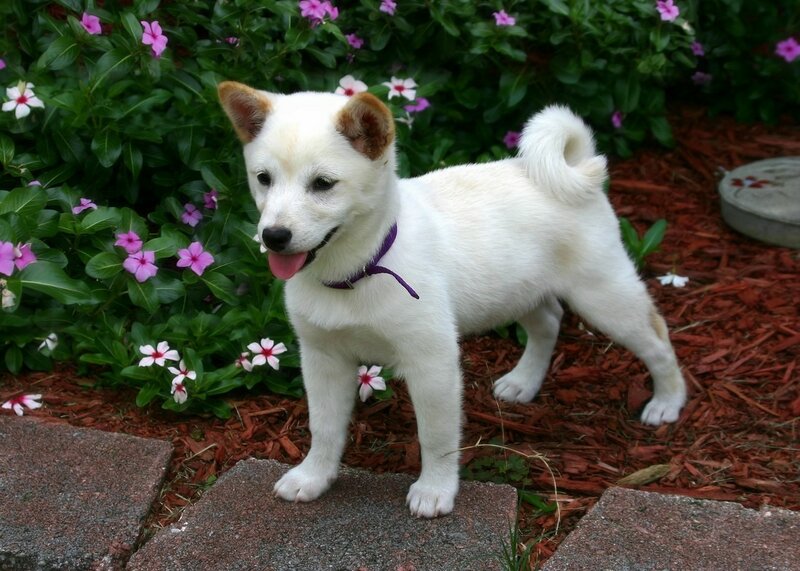 They were able to use Shiba Prom funds to have her operated on and Kishi was able to heal properly. She then gained her furever home when her foster adopted her! She is now happy and comfortable Shiba! CT was 13 years old when his beloved owner passed away. Unfortunately, his owner’s sons could not keep him, so Southern California Shiba Inu Rescue took him in. It can be tough to find a new home for a senior Shiba, but CT’s foster fell in love and adopted him. Shiba Prom funds were used to help with his intake, health assessment, and placement. We are so happy that he found a new forever home! Share your Happy Tail with us! Email us, Tweet us, or Message us on Facebook. Some Exciting Updates and Changes! Over the last few months, Shiba Prom has undergone some organizational and operational restructuring. We are very excited to announce the changes and our hopes for more involvement in our PAWESOME Shiba community! First, we’d like to introduce the current 2015-2016 Board of Directors. The members are the same; however, responsibilities have shifted. The current Board of Directors and Executive Officers are: President and Secretary: Ann Lynch; Vice-President: Eileen Corliss; Treasurer and Legal Counsel: Alisa Gaylon, Member-at-Large: Tina Shakour. Please feel free to go to our ABOUT page on this website to read about each member. The Board has voted for Shiba Prom to adopt a grant-based platform to be able to award financial support to those in need throughout the whole year via contests, fundraising events and support as well as the annual Shiba Prom. So what does that mean? Shibas in the care of a rescue may be eligible to obtain funding to assist with medical bills and expenses exceeding typical vet care covered by adoption fees or assistance from a rescue organization. The grant system will begin October 1, 2016. The details of the programs, application process and the application may be viewed on the Shiba Prom website on the GRANT page. 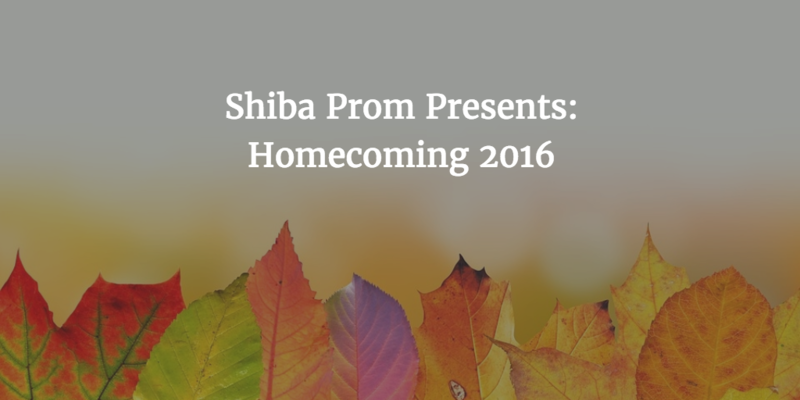 In order to keep Shiba Prom sustainable and growing, a solid team of volunteers is needed. Volunteers are currently being recruited for different positions and will continually be recruited as the need arises. Because of the many shifts and changes over these last few months and to come in the months ahead, this year’s annual Shiba Prom event will be delayed. Please stay tuned for details about upcoming events! We hope to bring more events under our new structure so be sure to like our Facebook page and follow us on Instagram using the logos on the top right of this website. All of us here at Shiba Prom thank you so very much for your continued support and wish you and yours a very Happy Spring! Keep on rescuing and all the PAWMAZING work you do. We are so excited to continue the tradition of having fun raising funds together!! 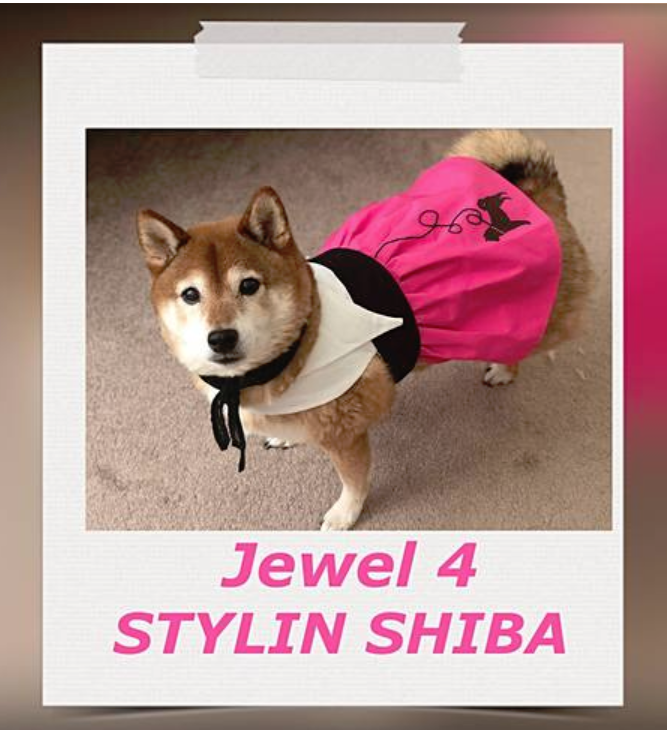 2015 Shiba Prom Contest Winners! Best Haiku is still awaiting final votes! Winners will be contacted soon to confirm shipping of their prize baskets!